Have you been wondering how does one enable Activation Lock on Apple Watch? When the Apple Watch was first shipped, its software didn’t have Activation Lock, which is used to prevent people from activating a stolen or locked device without validating ownership first. The Activation Lock was introduced with iOS 7. It functions by preventing an iPhone from activation after it goes through a reset without deactivating Find My iPhone. By activating Find by iPhone, you enable Activation Lock effectively, which provides a layer of protection against thieves. Many users didn’t believe that this feature wasn’t shopped with Apple Watch. I mean, why would Apple make such a decision? iCloud activation lock has been such a hit; it has received iPhone thefts in some regions by as much as 50 percent. Perhaps Apple wasn’t just ready at that time. With watchOS2, Activation Lock came with the latest update to the watchOS, and it functions. That’s why people are wondering how to enable Activation Lock on Apple Watch. Signed into your Apple ID in the Watch app. Running watchOS 2 on your wearable. Signed in to iCloud on your iPhone that’s paired and Find My iPhone is activated. And if you haven’t updated to watchOS2, it’s time to do that before anything else. Then during the initial setup process for Apple Watch, you can sign in to your Apple ID. Alternatively, you can do that by going to Watch – General – Apple ID. Next, activate Find My iPhone by going to Settings – iCloud – Find My iPhone and activate the Find My iPhone switch. It means that your wearable will be worthless if it gets stolen. As in the case of iOS, the person who steals your Apple Watch would have to guess your password as well as you Apple ID to get pass the Activation screen that pops up after Activation Lock activated Apple Watch is reset. The chances are minimum to zero. So unless the thief knows your Apple ID username and password, which Apple is truncating all the time), the Apple Watch won’t be activated. In the time of watchOS1, it wasn’t possible, and the Apple Watch could go through a factory reset with some presses as well as paired with another device. With watchOS2, if you enable Activation Lock on iPhone, Apple Watch can’t be paired until the user validates Apple ID and password of the latest paired device. 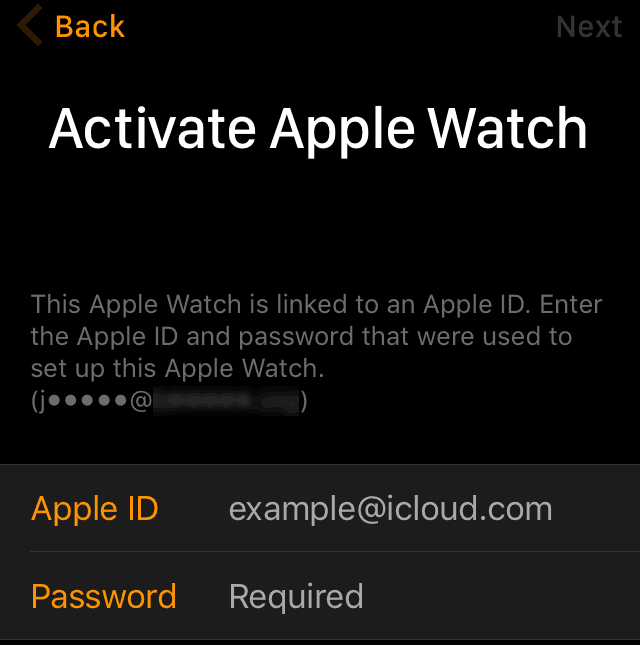 Activation Lock is there for Apple Watch users. It’s up to you to benefit from it.